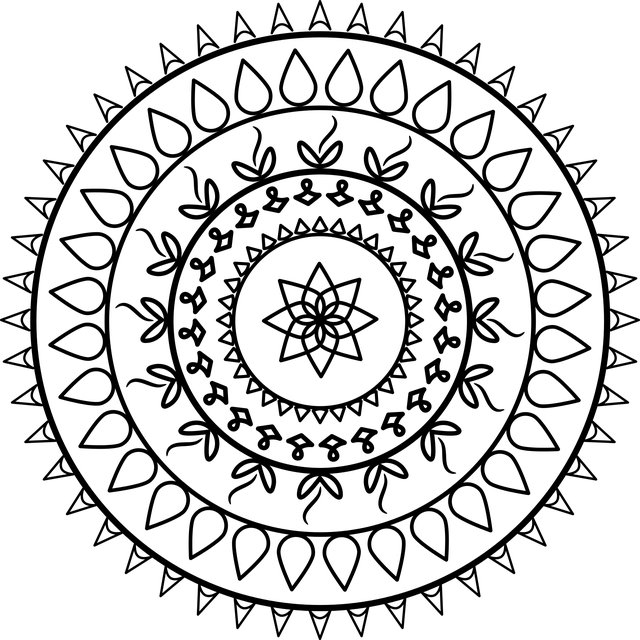 Mandalas are intricate designs inside of a circle formation. Focusing on a mandala can be a meditative experience and therefore an effective stress management technique. Coloring a mandala prior to a stressful event can help you be more relaxed when you start the stressful event. Coloring a mandala during a difficult conversation or situation can also help reduce your stress. Just coloring a mandala for no other reason than relaxation can be a terrific experience! Find a quiet place where you can sit comfortable and not be interrupted. You should plan on spending 10-20 minutes on this exercise. Use the mandala and the crayons as your point of focus. When your mind starts to wander, simply recognize that it has wandered and gently bring your attention back to coloring. the feel of the crayon on the paper as you color back and forth. use music that is simple, background music. Something with a simple melody line, one or two instruments only, preferably no vocals.